Imogen's Typewriter. 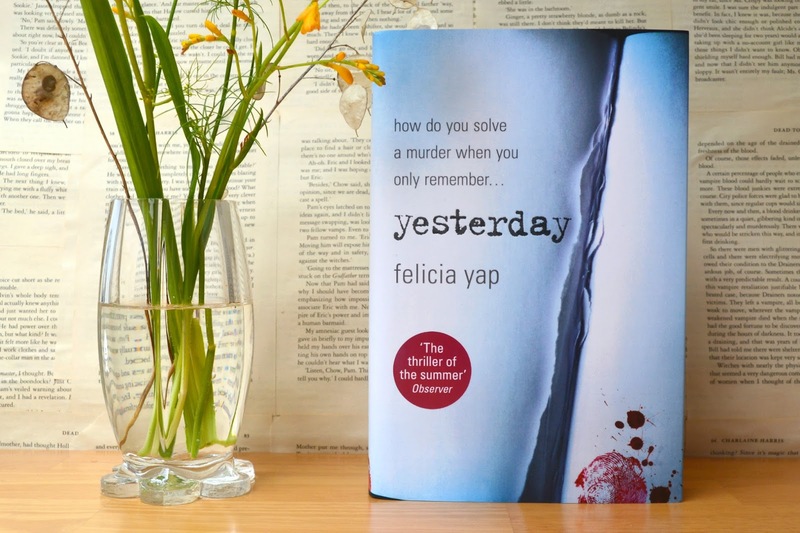 : Book Review: Yesterday by Felicia Yap! Yesterday was published in August and I've finally managed to collect up all my thoughts and feelings. Sometimes a review just flows as soon as you turn over that last page, sometimes books need to settle before you can figure out your feelings. This was one of those books. I'm always tentative when it comes to books that have multiple points of view. It can be done well but sometimes they just all blend together. It works in Yesterday though. I never forgot whose mind I was in when I was reading, they were all distinctive in their experience of the same day. And a book featuring an authors perspective is always something I'm intrigued in. I'm sure avid readers agree. It's one of many reasons I loved If You Go Away by Adele Parks so much, because it's a peek behind the curtain of the very book in your hands. Mark, one of the four main characters is a popular writer and with that comes some lovely bits about the reality of writing; "But it's hell that inspires the novelist. Not heaven." The memory aspect of the story is what makes this book stand out from your usual thriller. The class system in this world is based on those who can remember 24 or 48 hours, and the effort put into moving things from short-term to long-term memory is really important. I have a pretty terrible memory, so I empathised with 'monos' immediately. The whole idea is so original and interesting, although it took me a couple chapters to get my head around it. I would've loved it to be explained a bit more because the world is so similar to ours in every other way, and I imagined that such a big change would have more impact. But we'll have to wait until Today, the prequel expected to come out next summer. This book says a lot about our own memory, and the way we decide what to remember and what to forget too. How the characters choose to represent themselves in their diaries is very similar to how we portray ourselves on social media sometimes. All those happy tweets I see on my Timehop don't always represent my reality of that day. As the book says; "Your diary says what you want it to say. Memory equals the facts you choose to retain. We are all victims of the pasts we prefer." I definitely want to start writing more in my diary, and honestly, after this read though. Memory doesn't last forever, in this fictional world, or in our own. Lastly, mental illness features quite a bit in this book but in a pretty respectful and realistic way. One of the main characters, Claire, suffers from some form of depression and while her condition is "a considerable source of vexation" to her husband, she's not automatically assumed to be the murderer as it tends to in a lot of thrillers. Even her psychiatrist features to talk about it in a scientific way which tells me that Yap has put a lot of research into the way she is portraying this. Although the line "Richardson must suffer from some form of OCD, judging by the immaculate arrangement of his office," was a bit of a disappointing cliche. Overall, Yesterday takes you through 24 hours of these characters lives, and within that you learn a lot more than even they remember. If thrillers aren't thrilling you anymore, Yesterday might be the book for you. "That's because their clients are dead and can't argue with them." Although not completely on topic, I have to mention how unbelievably nice Felicia is. 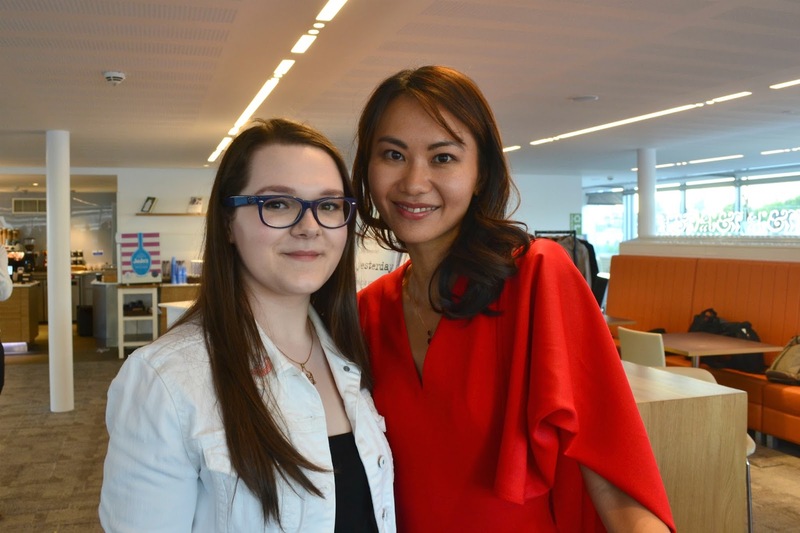 She has a PhD, she's studied at Cambridge, she's worked as everything from a molecular biologist to a catwalk model and is still one of the most humble people I've ever met. The success from this book so far couldn't happen to a better person and you can bet I will be reading the prequel Today as soon as I can. And if you want to buy Yesterday, you can here! Will you be reading Yesterday? What would you do if you could only remember the past 24/48 hours?